The world’s richest couple is getting divorced. Jeff and MacKenize Bezos announced their divorce on January 9, 2019, after being married for 25 years. The couple announced their separation on Jeff’s Twitter account. The Bezos met in the 1990s while working at a New York hedge fund. Shortly after, they moved to Seattle where Jeff founded Amazon and MacKenzie began a career as an author. Today, the couple have four children and possess an estimated net worth of $137 billon. Though the Bezos announced that their separation was amicable, the National Enquirer reported hours later that Jeff Bezos had an affair with Lauren Sanchez during the marriage. Text messages between Mr. Bezos and Ms. Sanchez were published several days later. Bezos Divorce: How Will the Wealth Be Divided? Washington State, where Jeff and MacKenize are domiciled, is a community property state. This means that property obtained during the marriage are to be divided equally between the parties upon divorce. Property obtained before or after the marriage belong solely to the spouse that owned them. The date of separation can be a significant issue if one of the spouses began acquiring property shortly after the couple decides to separate. Couples may purchase property outside of their home state during the marriage. If the divorce involves assets outside of the home state, those assets may be treated as quasi-community property. In most instances, quasi-community property is divided under the same rules as community property. However, there may be exceptions depending on the facts of the case. If those exceptions apply, ownership of a property will depend on title. Although “50/50” is the general rule behind community property division, it is still a vague and ambiguous rule. Couples cannot literally split most properties in half nor would most judges recommend that property be destroyed. Instead, the value of community property is to be divided as equally as possible. This actually gives couples tremendous flexibility in determining the outcome of their divorce. Divorcing spouses can trade properties or buy out the property interests of the other spouse. Creativity and open communication can produce amicable divorce settlements that both spouses can live with instead of the black and white judgments of a court. The media reports about the relationship between Jeff Bezos and Lauren Sanchez should have no legal impact on the divorce of Jeff and MacKenize Bezos. The vast majority of divorces today are “no-fault” divorces. This means that the parties focus on splitting up rather than assigning blame on who caused the marriage to end. In fact, several states have banned “fault” divorces; it may not even be an option depending on the state where the divorce is filed. This doesn’t mean that an affair will have no impact on a divorce. Although the law may be blind to why the marriage ended, the parties themselves may still be emotionally affected by an affair. Attorneys who work with cheating or cheated spouses may have to counsel their clients against doing stupid things or taking unreasonable negotiation positions to punish the other spouse. What Will Happen to the Bezos’ Estate? Although the couple is worth an estimated $137 billion, the majority of their wealth is tied to assets. The Bezos’ own properties in Washington State, Beverly Hills, New York, the District of Colombia, and in West Texas. In sum, they are reportedly the 25th largest landowners in the nation. In addition, the bulk of the Bezos’ wealth are tied to Amazon stock that Jeff Bezos utilities to maintain control of Amazon. 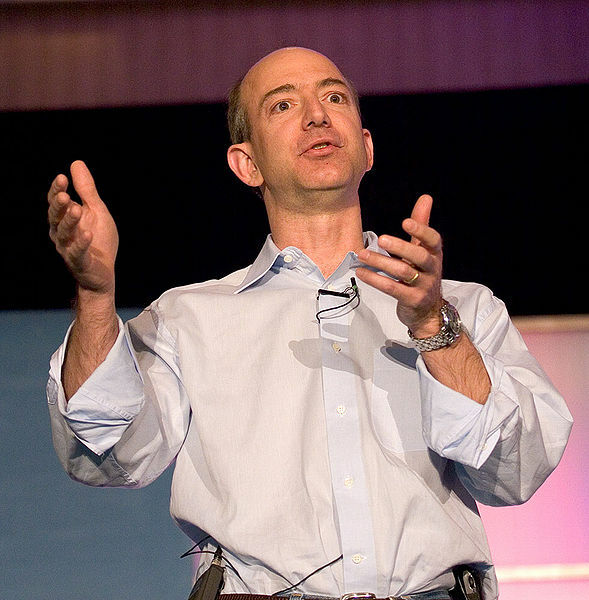 Bezos owns about 80 million shares of Amazon, or roughly 16% of the company. If MacKenzie were to push for a payout of $68 billion, her husband would likely be forced to sell at least some of his Amazon shares. Jeff Bezo would lose some control of the company and Amazon would likely suffer a major setback. If MacKenzie wants the full value of her share of the Amazon fortune, she may prefer periodical support payments instead. Bezos would retain his control of Amazon and would be able to expand Amazon without the burden of share division to slow him down. The Bezos’ divorce presents a classical problem of legal disputes. It may be more beneficial for the ex-spouses to work together to ensure that the marital estate grows. Jeff, MacKenize, and their children would benefit if Amazon continued to grow. On the other hand, distrust and a desire to score a “win” over the other may provide short-term emotional satisfaction, but it would likely harm all parties involved in the long-run.